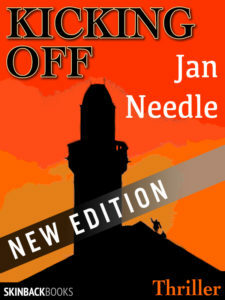 RIGHT – the new version of my (highly acclaimed, I’m happy to say) thriller Kicking Off will be up on Kindle next week to replace the one already available for £1.88. And if you click this link you can read or download a novella-length digest to get the juices flowing – plus some of the fantastic things the press have said about it. Kicking Off is the first in a series featuringhard-bitten investigative journalist Andrew Forbes and his much more civilised (and beautiful!) Scots ‘assistant’ Rosanna Nixon. 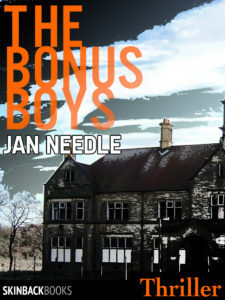 The second book, The Bonus Boys, will go up on Kindle in few weeks time. Slightly less in yer face than Kicking Off, it’s still quite rare meat. Forbes and Rosanna (known as The Mouse by some misguided people) get very near to death. Rosanna, in fact, actually feels the blade… Click here for a couple of opening chapters.